05/21/09 W70. 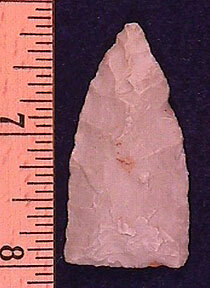 (W57) Tortugas, 1 13\16", TX, Edwards Plateau chert, well made with some use wear, $12. 03/22/09 W71. 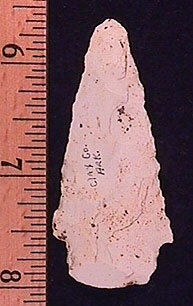 (W63) Big Creek, 2 3/8", AR, Burlington chert, ex-Ken Partain collection, thin, $20. 03/22/09 W72. 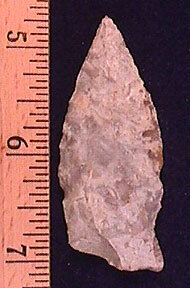 (W65) Candy Creek 2 7/16", Scott Co., KY, Ft. Payne, ancient ear ding, $15.